Newer PostIs Cedric Playing the Size Game? 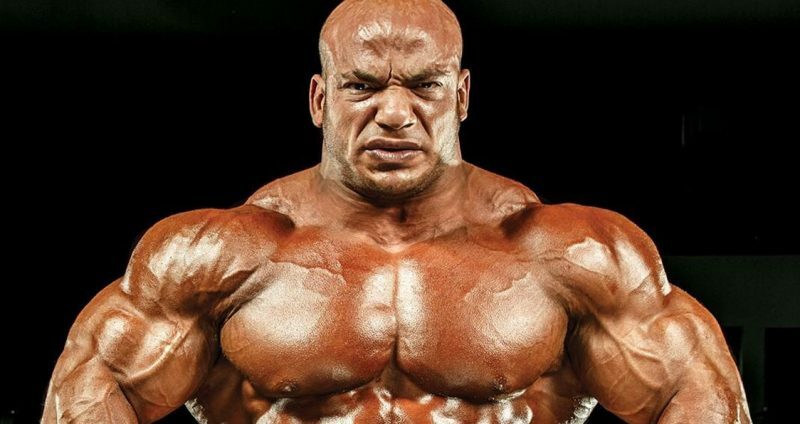 After what was a less than stellar outing at last year’s Mr. Olympia, Big Ramy is back in the news, spotted in Dubai, and said to be living in a royal palace. When I originally wrote about Ramy’s departure from the Oxygen camp to new coach Neil Hill, for Iron Magazine, I said I didn’t think the move would last. Bader Boodai and his team know Ramy better than anyone else and I’d imagine Ramy knows every last inch of Oxygen Gym – it was his home forever and ever. Assuming that Ramy stays the course with Hill, that’s going to mean even more pressure, now that we’re well into 2019. Also, I should note that part of this article was inspired from a breaking news report from Dave Palumbo for RxMuscle. In that report, Dave added some strong aspects to my already evolving insights. For starters, Neil Hill will likely keep Ramy to the high 280’s and the fact Ramy won’t be doing the Arnold Classic, means he’s going to try to qualify in lineup with less top guys. That’s not very promising, although it might make perfect strategic sense. There’s a lot to talk about, from Ramy’s work with Neil Hill, to the high stakes of qualifying in 2019, and to bringing a totally different look, which will ideally win him a Sandow. Big Ramy is considered by most to be a future Mr. Olympia; however, with each year that passes, the light at the end of the tunnel becomes more and more distant. Why? Because every year there’s new athletes hitting the scene, older athletes perfecting their game, and age beginning to work against each and every athlete. The fact that Ramy got as high as 2nd place in 2017 was huge. Had he stayed at that spot or even dropped a placing, still being in the Top 3, perhaps the pressure for 2019 wouldn’t be so great. To have placed outside the Top 6, truly did a number on him, his legacy, and undoubtedly his future. When Ramy apologized to his fans, many didn’t feel it was necessary, but he realized, full well, what implications his 2018 placing had. The fact that Ramy decided to leave his longtime coaches, is also a huge risk. When he parted ways with Chris Aceto and Dennis James, he wasn’t at the level he’d reached in 2017.To leave at this stage of his career is at best gutsy, but at worse a potential catastrophe. That’s no knock on Neil Hill, but even with what we’ve heard, this could year could be even worse for Ramy than 2018. The fact of the matter, is that Neil Hill (word is) wants to present a lighter, tighter Big Ramy. That’s a strategy everyone has been talking about, but to actually do it, at a time when Ramy’s stock is plummeting, is pretty gutsy. Also, if what rumors say are true, that Ramy won’t be doing the Arnold Classic, that’s also not a very reassuring feeling. It’s almost as if they want to take him to a smaller show, because they don’t have enough time to bring him at his best to Columbus. If the Arnold is too high stakes, then the NY Pro, Pittsburgh Pro, and Tampa Pro will be as well. If the plan is to bring Ramy to small U.S. show or a show overseas for an Olympia qualification, that might be the ticket, but what if he places anything less than 1st in a competition with non-Olympia Top 6 competitors? Then what? The idea that Ramy would qualify by points isn’t very promising and would wreak havoc on his mindset. This is also a pretty eye-opening reality check for a lot of the top guys who practically live in the Olympia Top 6. Now, instead of eating and training year-round for one contest, they actually have to do a contest in order to get to the Olympia stage. A lot of these guys forgot what it meant to qualify, they’re not used to it, and that process may not go to planned, they severely underestimate their competition. With William Bonac, Flex Lewis, and others on his roster, will Hill have the time to not only prep Ramy, but guide him in transforming his physique? Also, Ramy has a reputation – whether founded or not – on not dieting as hard as necessary. If Ramy’s places worse at this year’s Olympia, will it be his fault or Hill’s? Size has always been Ramy’s calling card, it’s what got him into the Top 6 (and as high as #2), provided he has decent condition. If he were to step on stage in the low 280’s, what bodypart does Ramy have that’s so exceptional that it stands out from the rest? Better question, if you take the mass away from the mass monster, then don’t you simply have just one more great physique out of many? Also, I may be off by saying this, but I don’t recall Ramy being an exceptionally gifted poser, I don’t know that he brings the house down with his routines, either. So again, once you take that freaky 300+lb size off, will there still be a wow factor left? I bring these points up, simply because the pressure is mounting and time is ticking. I, personally, think Ramy belongs at Oxygen Gym, under the guidance of Bader Boodai. If a coach/team gets you as high up as 2nd place at the Mr. Olympia, I think it’s an utterly foolish move to leave that camp for another one. I do think it’s a good thing that Ramy didn’t burn any bridges and left on good terms, but I think his best chances are with the team that knows him best. Also, I’d like to make the point that while Dubai is one of the hottest destinations on Earth, in terms of business, it’s also a major hotspot for vacationers, tourists, and celebrities. While I’m sure Ramy will have the best accommodations, best food, and train at the best gyms, I think he’ll also be faced with a whole world of distractions. 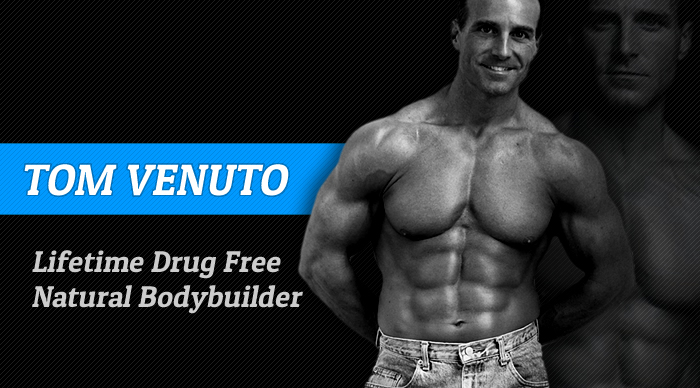 A big part of the allure of Oxygen Gym is that you eat, sleep, and train bodybuilding. People who make the trek to Kuwait go there with chief purpose of getting into amazing contest shape. Many have complained that the social aspect of their time there was practically nonexistent; however, many have catapulted in terms of placings. Just take one look at the rise of Roelly Winklaar and the huge successes enjoyed by Brandon Curry. In fact, many (myself included) think Brandon will break into the 2019 Mr. Olympia Top 5 – he’s THAT good!! Only time will tell what happens with The Egyptian Phenom. I’d like to wish him the best of luck in Dubai, qualifying for the Olympia, and beyond. I’d like to say this will be our last Ramy article till Vegas, but I can pretty much bet it won’t be. Like Kai, Phil, and a select few others, Big Ramy is on people’s minds, so you know we’ll cover him. 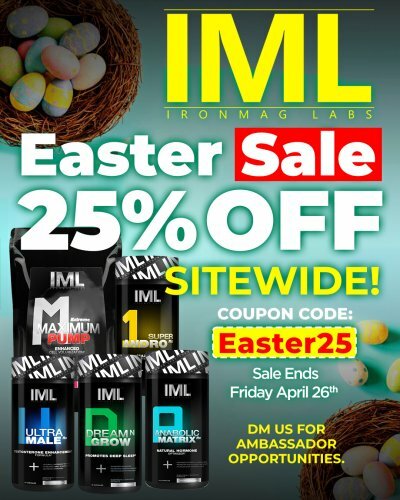 That’s just what we’re about, here at Iron Magazine, we give The People what they want, when they want it!